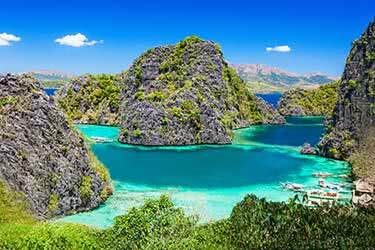 This luxury tour takes in some of the most picturesque locations on the northernmost Philippine island of Luzon. 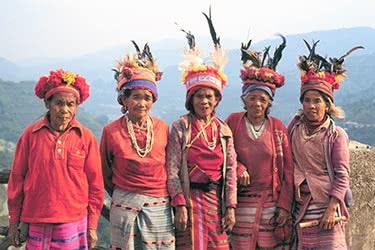 Starting in the country’s immense capital Manila and ending on the idyllic island of Boracay, this 13-day journey brings travelers through the mountainous green countryside of Baguio and the steep terraced rice fields of Banaue, with several UNESCO World Heritage Sites along the way. 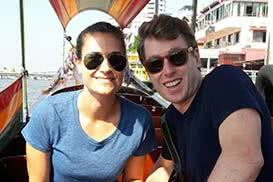 Travelers begin their luxury journey through the Philippines in the capital, with a walking tour of historic Intramuros. The original 16th century walls of this fortified old city still stand, and the area’s period buildings make for a fascinating walk through time. In the evening, enjoy a romantic dinner in a local restaurant before retreating for the night to a five-star hotel in Manila center. 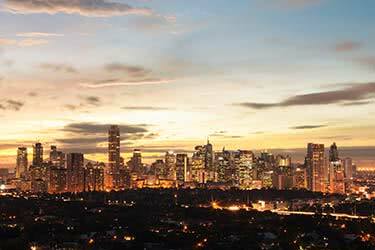 We recommend the new Raffles Hotel or Shangri-La Makati in the business district, close to parks, shops and transport. Travel south to the historic Las Piñas Church and discover the remarkable 19th-century bamboo pipe organ there, before stopping at the Sarao Jeepney Factory for a look at how these iconic local taxis are manufactured. Next, we’ll stop to enjoy breathtaking views of Taal Volcano then stop for lunch at Antonio’s Grill and sample authentic Filipino cuisine. After lunch, we stop at Taal Heritage Town for a glimpse at some beautifully preserved colonial houses. In the evening, it’s back to Manila. 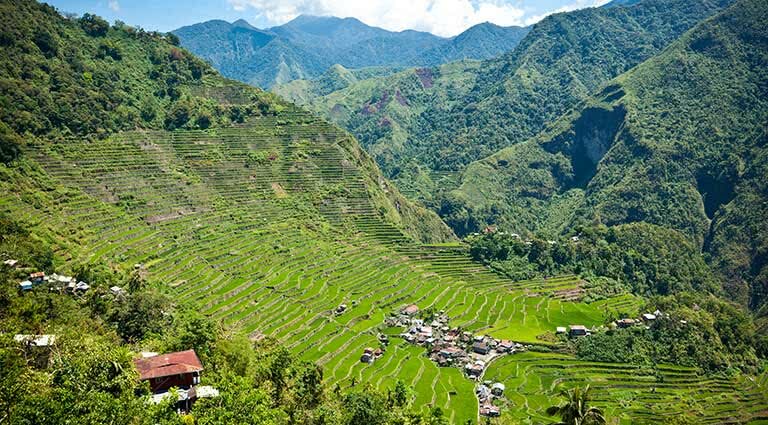 Today we drive 9 hours to Banaue, a picturesque municipality famous for its UNESCO-protected rice terraces. On the way, we stop in Pampanga for a gastronomic treat courtesy of Chef Claude Tayag. This renowned chef/artist/author serves up an exclusive meal of innovative Pampanga cuisine. 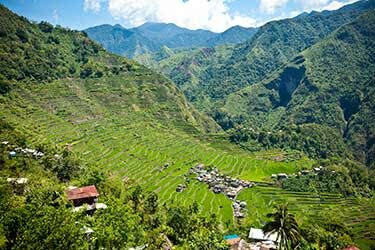 We spend the evening in Banaue tonight - the Banaue Hotel is one recommended option, offering breathtaking views over rice terrace terrain. To really experience the beauty and majesty of the rice fields, we take a leisurely hike through the paddies of Bangaan and Hapao and take in these steeply terraced valleys from the Viewpoint. After a full day of exploring the area on foot, retreat to your hotel and enjoy dinner with unbeatable mountain views. 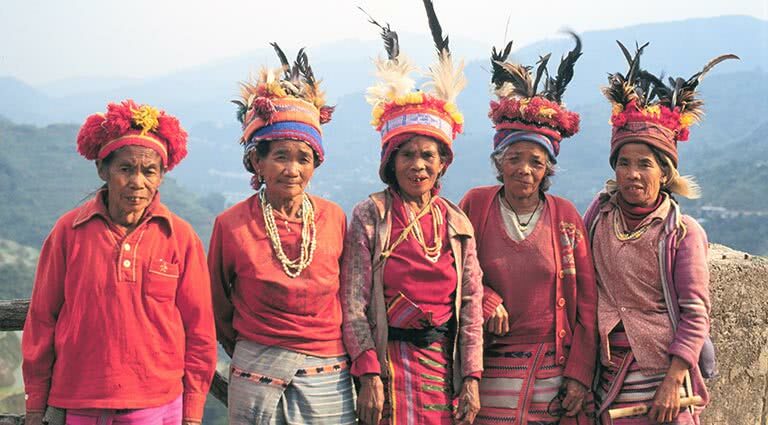 Today, we travel to the small town of Sagada in the Mountain Province of the Philippines. 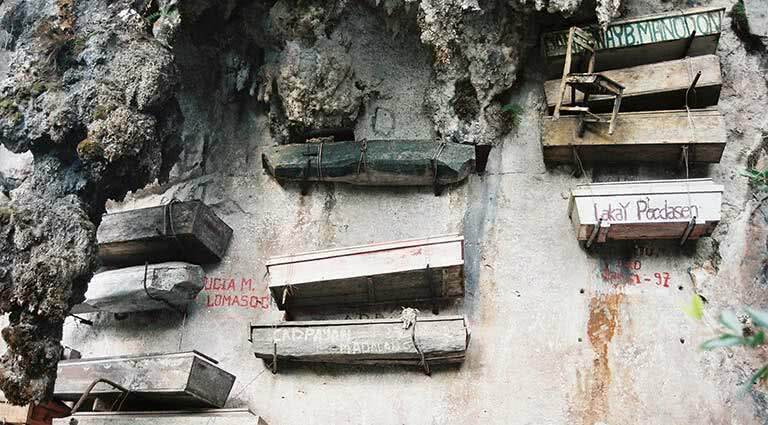 On the way, we visit the area’s caves and the famous Hanging Coffins. For the adventurous, there’s cave exploring and spelunking at Sumaguing Cave, full of fascinating limestone formations. 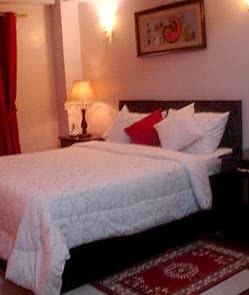 In the evening, we check into the basic yet comfortable Masferre Country Inn and Restaurant. 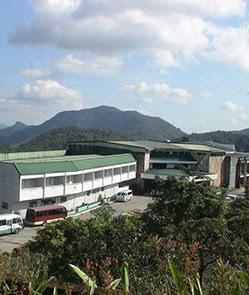 In the morning we begin our trip to Baguio City, taking in the beautiful mountain scenery on the way. Baguio’s cool mountain air has made it a popular getaway for Filipinos for centuries, and it’s full of village charm, despite its size. We visit the city markets and head to artist Benedict Cabrera’s Gallery to appreciate work by the Philippines’ greatest contributor to modern art. Tonight, we check into a luxury Baguio hotel - The Manor at Camp John Hay is great choice with its beautifully-restored interiors. 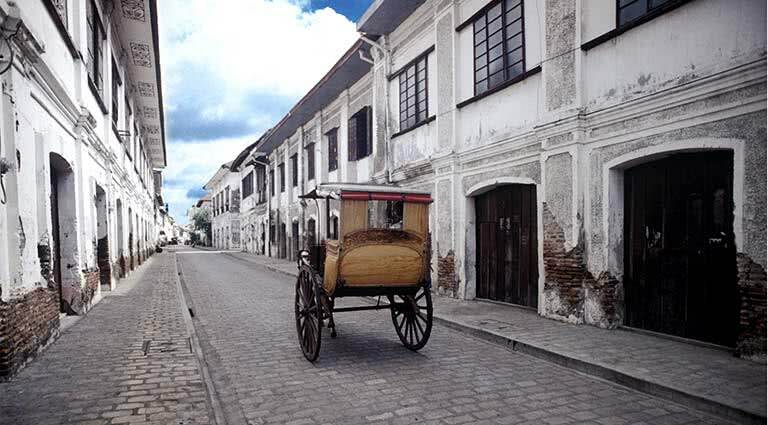 Today we drive 6 hours and explore the heritage zone of Vigan by calesa - horse drawn carriage. 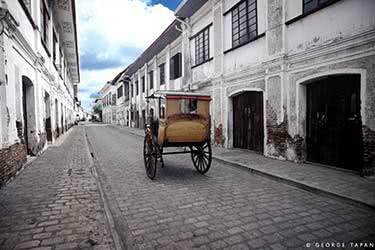 Vigan is a perfectly preserved colonial Spanish town and a World Heritage Site, with largely intact architectural influences from the Philippines, China and Europe. Pick up a memento at a pottery boutique and enjoy authentic Ilocano cuisine in a local restaurant. In the evening, enjoy a luxurious night’s sleep in a luxury hotel - we recommend Sitio Remedios, a private villa resort featuring vintage Ilocano decor. 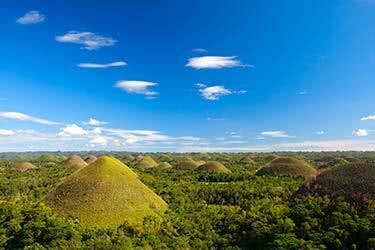 Our next adventure is a trip to Laoag taking in the sand dunes of Suba just outside the city. We visit the breathtaking baroque Church of Saint Augustine, a UNESCO-protected monument from the early 18th century, Burgos Lighthouse, the oldest working lighthouse in Asia and several more architectural and natural sites of note around Paoay, one of the northernmost coastal towns in the Philippines. At night, it’s back to your hotel in Vigan. 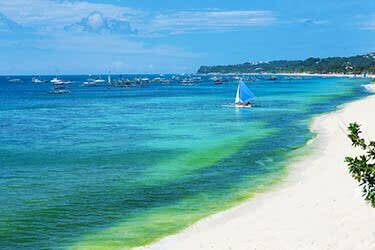 Today we fly to the island of Boracay, renowned for its white-sand beaches and clear blue waters. 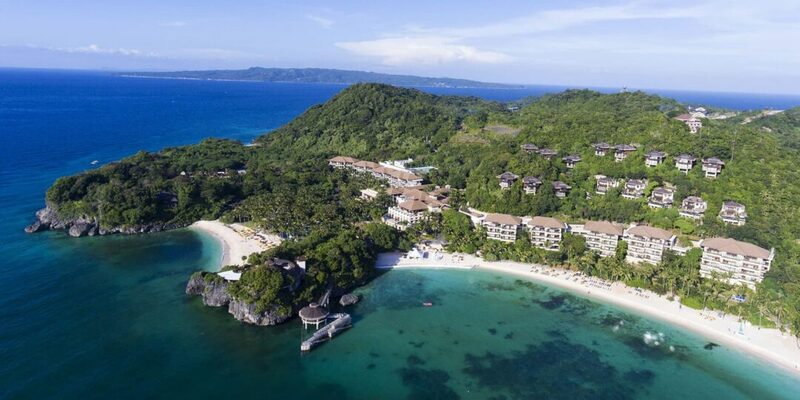 To fully appreciate the natural beauty of Boracay, travelers are free to spend the day idling on the beach, ideally at a luxury resort such as Shangri-La Boracay. This property has spacious luxury suites with far-reaching coastal views and a wide array of activities at hand. Today, you can work up an appetite sailing on a local paraw (catamaran) before stopping off at Puka Beach for a picnic lunch. After that, enjoy a tricycle ride to White Beach, a two-mile stretch of pristine powder-fine sand with an array of beach bars, restaurants and shops to browse. After enjoying sunset drinks and a stroll along the water’s edge, spend the night back at The Shangri-La. 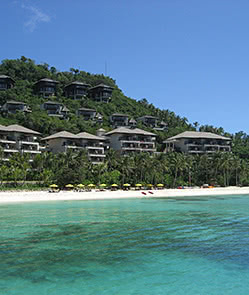 The waters surrounding Boracay are filled with small islands and islets. 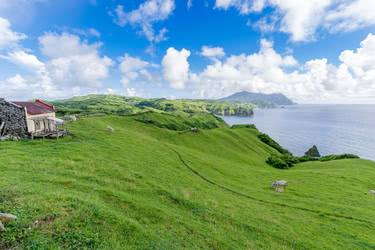 Today we island-hop to various remote beaches and hidden bays to really relax into beach life. After a day of snorkeling around local reefs and paddling in the tropical waters, it’s back to the Shangri-La for a five-star meal in luxurious surrounds. Enjoy doing what beach holidays are all about: nothing at all. 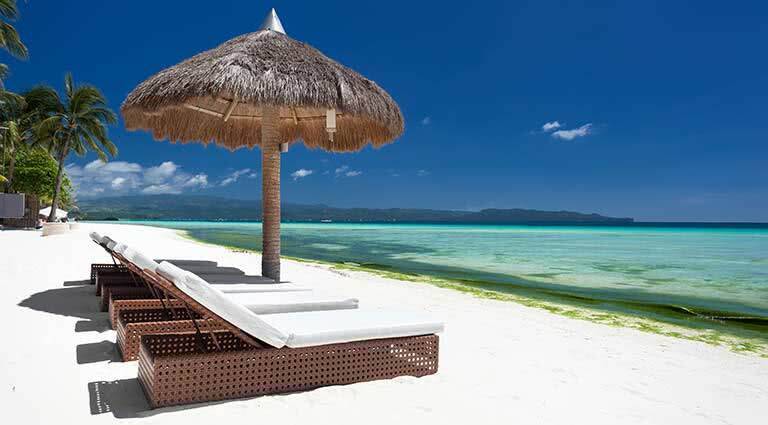 Boracay is known worldwide as one of the planet's best beach islands, so make the most of your time here by enjoying some serious beach contemplation time. 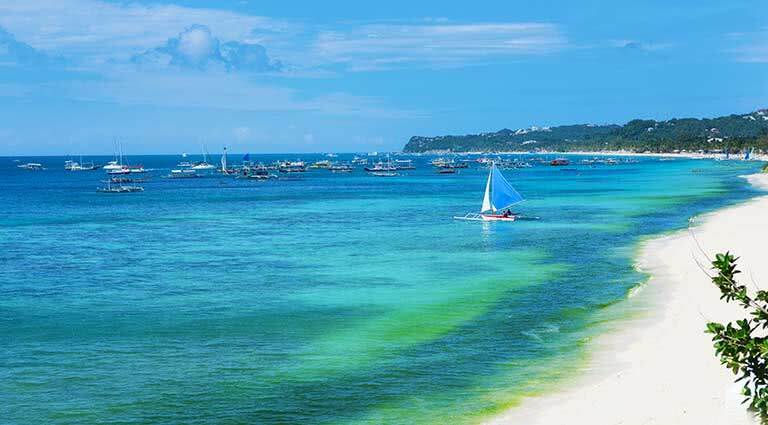 For those of you who like to add a little more spice to your day, there are plenty of fun things to do on and off the beach in Boracay, from thrilling water sports like jet skiing, to zorbing down a grassy hill. The choice is yours! In the morning, fly to Manila and connect to your flight back home. Located in the centre of Banaue and perfect for exploring the nearby rice terraces, the Banaue Hotel is a modern property with 81 bedrooms, all equipped with shower, refrigerator, separate shower and tub, Internet access, and complimentary bottled water. Hotel facilities include a coffee shop, souvenir shops, a restaurant, bar/pub, massage room and an outdoor swimming pool. Located in the north of the Philippines, Masferre Country Inn and Restaurant is a very simple guesthouse in Sagada. Conveniently-located on Sagada’s prime tourist trail, the Masferre Hotel offers WiFi in public areas, laundry service, and dry cleaning, as well as a massage parlour on site, in an atmosphere reminiscent of a mountain lodge. The hotel’s restaurant is also quite renowned for its epicurean delights, with a wide-ranging menu featuring Filipino, Western, and Asian dishes, and it’s often referred to as the best restaurant in town. 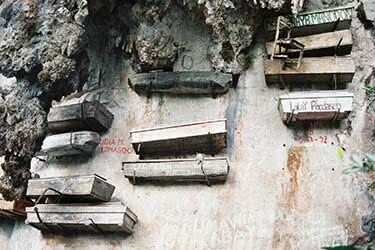 Another guest favorite is the selection of powerful photographs featured by the hotel, taken by the late Sagada-born photographer Eduardo Masferre. Guests will enjoy this unique alternative forest destination, in a pine tree-covered prime location of Baguio City, Philippines, known for its refreshing, cool climate. The manor itself is four stories high, housing 177 well-appointed rooms, many of which enjoy panoramas of the majestic Cordillera mountain range. The structure was built using local stone on the exterior of the building, as well as panelled walls, wooden shuttered doors, and wooden furniture inside the rooms, evoking memories of traditional Baguio architecture and style. Highly-trained staff provide warm, friendly service, while top-notch facilities are provided for guests’ optimal comfort, from a luxurious spa ideal for a full day of pampering, to the Piano Bar, where the mood is set by live entertainment. An on-site delicatessen serves up fresh-baked goods, while Le Chef at The Manor provides guests with all-day dining. The atmosphere at The Manor is cozy, particularly accented by the large fireplace in the hotel’s lounge. 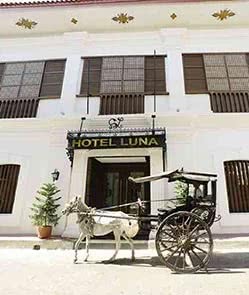 Step back in time with a stay at Hotel Luna, a unique hybrid of hotel and museum located in the city of Vigan in the Philippines. Nestled in the heart of the incredible architecture and intangible history of Vigan, a classified Heritage Village, Hotel Luna itself is a sight to be seen. Located in a decorative, four-storey colonial building, the hotel features fine pieces of Philippine art, from Juan Luna masterpieces to new items from contemporary artists. 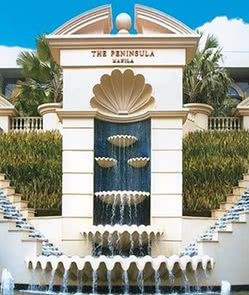 Guests can explore the artwork or spend lazy post-sightseeing afternoons lounging by the outdoor pool - located in the hotel’s courtyard - followed by a cocktail in the ornate Chula Saloon Bar. Afterwards, they may enjoy dinner at the in-house restaurant Comedor, feasting on Spanish dishes and gazing at the incredible art pieces adorning the walls, and take in a nightcap and a spectacular view of the city from Azotea, the rooftop patio. Unlike the majority of hotels packed side-by-side on this famous island’s 3-mile stretch of white-sand beach, Shangri-La carved out its own little tranquil retreat. Set on a hillside away from the crowds, this 219-room hotel is in an enclave with its own private beach. 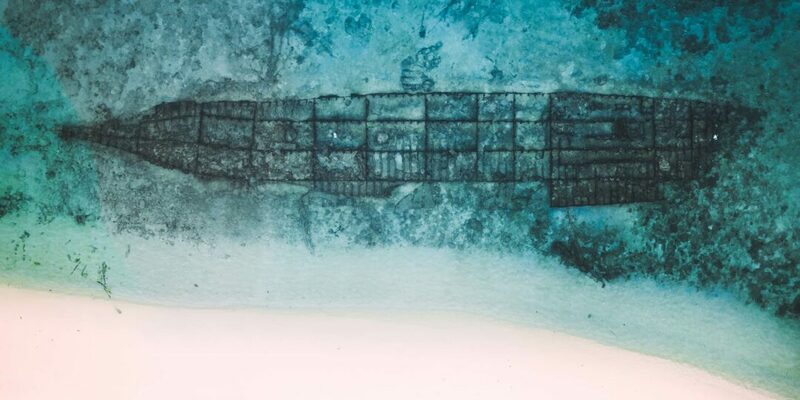 Opened in early 2009, the hotel incorporates indigenous materials in its contemporary design. 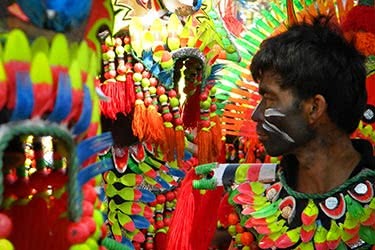 Rooms are decorated with abaca-weave rugs and lamps made of capiz shells. 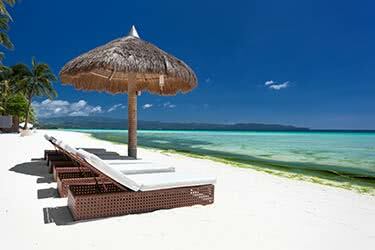 Every room has a balcony with a view of either the resort’s lush tropical gardens or Boracay’s turquoise sea. CHI, The Spa at Shangri-La, is a spa village set within the resort, and it features treatments based on Chinese and native Philippine healing concepts. Other leisure amenities include one of the country’s largest free-form swimming pools, outdoor tennis courts, and a fitness center. 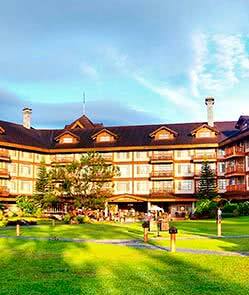 Dining choices include a cliff-top seafood grill and an intimate Italian restaurant set amidst treetops. 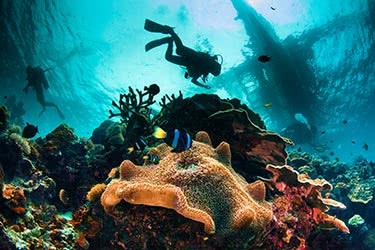 The hotel is a 45-minute flight from Manila, plus a 15-minute boat ride from the ferry station beside the Caticlan Airport. Our co-founder & CEO Catherine Heald finds it hard to choose from the thousands of beautiful Philippine islands, including her favourite Pamalican Island, home to Amanpulo Resort. 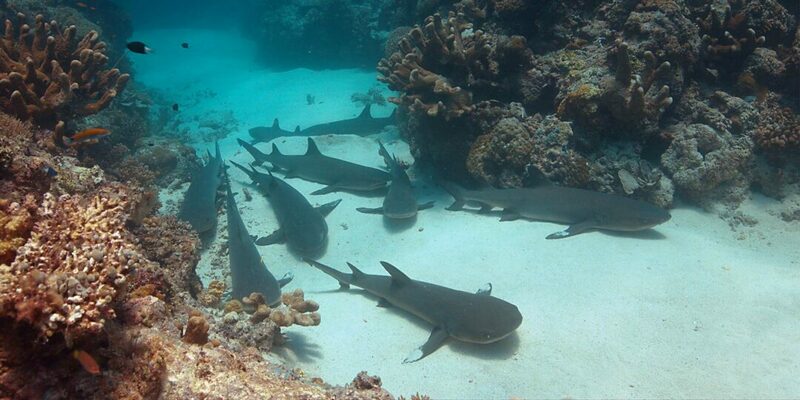 Found almost a hundred miles from the nearest port, the diving hotspot of Tubbataha in the Philippines is under-traveled and teaming with life. 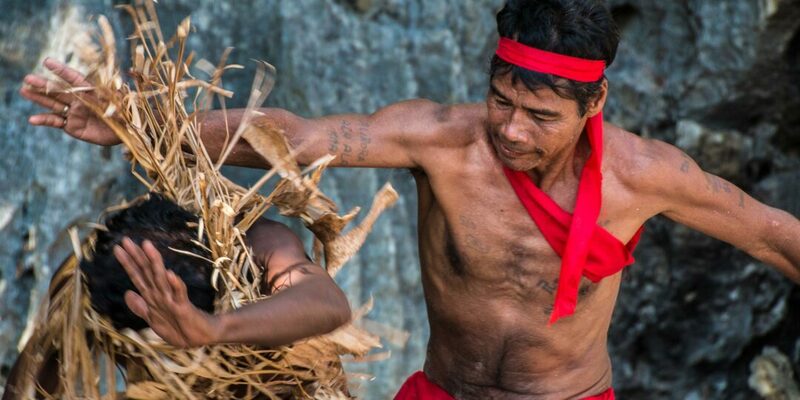 Richard Collett travels to a beach with no name to visit with the Tagbanua tribe to shoot a courtship ritual, the people of the Tagbanua, and the pristine beaches of this forgotten tribal island. 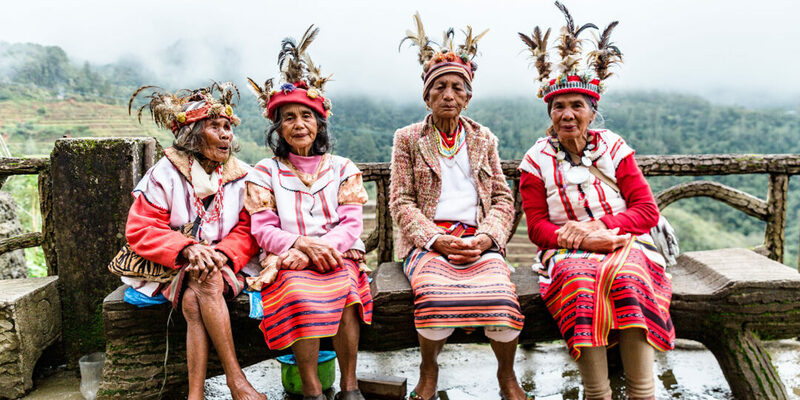 Photographer and writer Annapurna Mellor travels deep into the largest island in the Philippines to explore the mountains of Batad and the culture of the Ifugao on a Banaue adventure. 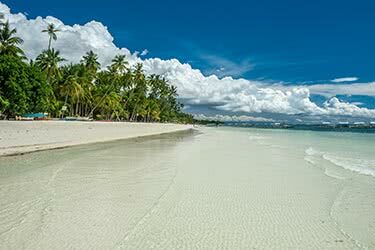 Is Boracay Back? 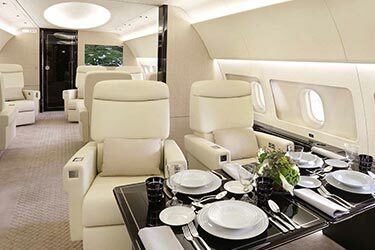 What’s Left for Luxury Travelers? 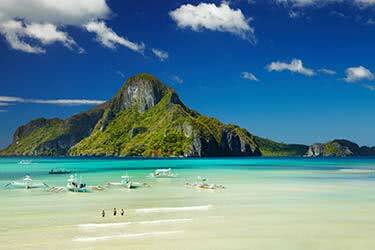 Places like Amanpulo and Palawan have always had the edge when it comes to natural beauty, so what's left when you take the partying out of the most famous party island in the Philippines? 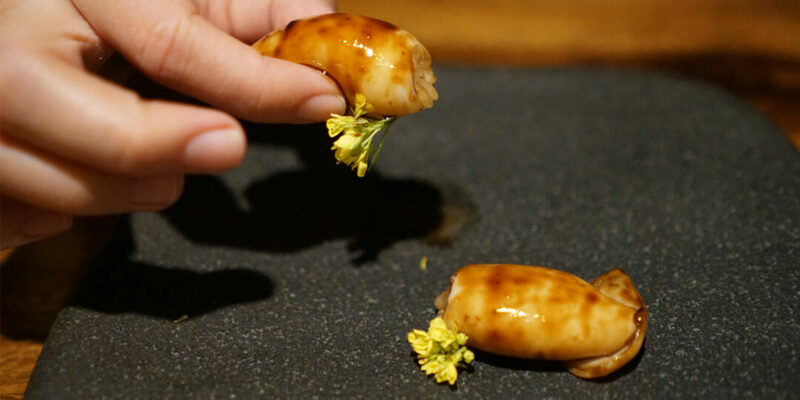 Long overshadowed by other Southeast Asian cuisines, Filipino food is having a moment with a host of talented chefs enlivening the dining scene in the country’s capital.